When traveling through Dade City your risk of being arrested for a DUI is doubled. Not only is the Pasco County Sheriffs Office on the look out to make DUI arrests, the Dade City Police Department is on the watch as well. If you are a resident or a visitor of and you have been arrested for DUI in Dade City it is in your best interest to hire a dui lawyer! At Finebloom, Haenel & Higgins we provide dui lawyers Dade City arrestees can depend on to fight their Dade City dui case! There are several methods the dui lawyer in Dade City you hire can use to challenge one or all of these procedures in your individual case. When considering the dui attorney Dade City arrestees should hire, it is crucial to make sure the dui attorney you are considering knows all of these possible methods. That is the only way to be confident that the Dade City dui attorney you hire will provide the best defense possible for you!! At Finebloom, Haenel & Higgins our dui attorneys are focused on dui defense! Our attorneys are experienced in the legal and technical challenges involved in a dui case. We will not rest until we achieve the best result for your particular situation. Call us now to discuss your options. 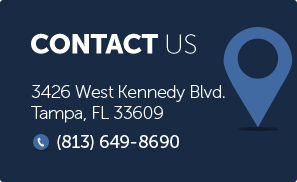 Our Dade City dui defense attorneys are available 24/7 when you call 813-200-4412. Call today and let us fight your dui case! !